Alex Johannsen spent her formative years reading comics, lost in a world where anything was possible and nothing that tragic happened. Her work is an extension of this concept; creating things that aren’t real but can exist in her own world. 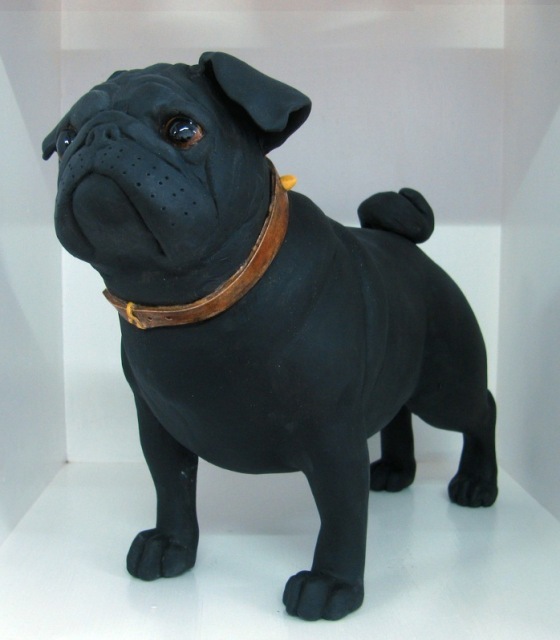 “When creating my dogs, I need to be able to believe that they could come to life. Each one that I create has to have its own identity. It is not until the final firing, when the eyes are glazed, that I can see the ‘character’ coming through. That is the best bit” – Alex Johannsen.